2019: 5 races 71,000 metres completed. 2018: 2 races 30,000 metres completed. 2016: 11 races 84,220 metres completed. 2014: 3 races 18,000 metres completed. 2013: 22 races 100,609 metres completed. 2012: 16 races 73,075 metres completed. 2011: 16 races 52,043 metres completed. 2010: 11 races 26,100 metres completed. 2009: 5 races 8,100 metres completed. 2008: 1 race 2,000 metres completed. 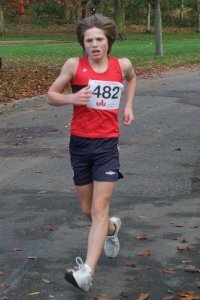 2007: 1 race 1,000 metres completed.